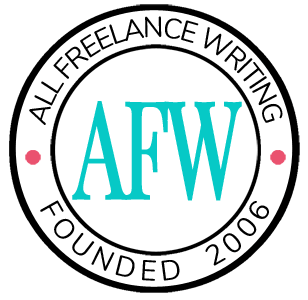 As a follow-up to my recent post and infographic, Twitter tips for authors, I'd like to share a resource from another author. Anne R. Allen shared this post with me on Twitter, which she wrote last fall. I hate spam. You hate spam. We all hate spam. It might be the only thing everyone on the internet agrees about. Yet authors can't seem to help themselves, especially when it comes to using social media to market their books. Here's the thing. Social networks are meant to be social. Yes, that means you have to talk to people. What they are not meant to be are sales platforms. Can you make more sales by being active in social media? Abso-friggin-lutely. But there's a difference between using these platforms to build your fanbase and network (getting to know the kinds of people with a genuine interest in your books) and singing the praises of your book all the time. If you're using social media effectively, your fans will do plenty of that for you. "Never market through a FB direct message." 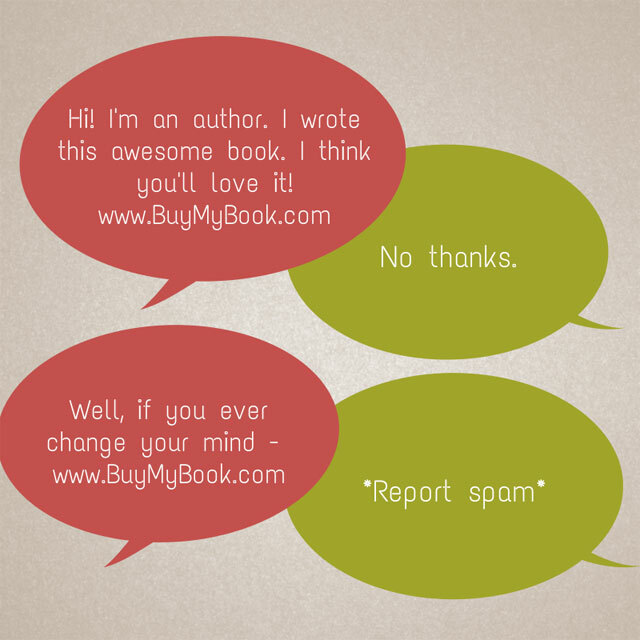 "A link to your own book in a review is spam." "Don't link to your buy page from a blog comment." Directly marketing through private messages is spam on any social network, not just Facebook. Please don't do it. A review is never an appropriate place for you to promote yourself. Not on Amazon. Not on Goodreads. Not on someone's blog. Not anywhere. Pasting a link to your sales page all over the Web -- on forums, in blog comments, in group discussions, etc. -- is the ultimate sign of book marketing ignorance. Is that really the image you want to portray? Doubtful. What are you waiting for? Head on over to Anne's post and pick up more social media secrets that will help you connect with your readers rather than become an unwitting social media spammer. We know you never really meant to. This and Anne’s post is great advice for any self-promotion. I learned a lot of things I didn’t know from Anne’s post about the various platforms. Thanks for sharing, Jenn. Thanks so much for the shout-out for my post, Jennifer. This is a perfect example of how social media DOES work for authors. I liked one of Jennifer’s tweets about Twitter etiquette, so I retweeted and responded. We chatted a little and I said I had a post on the subject. I sent the link, and also checked out this great blog. Now we’re both promoting each other’s work. No spam involved. Just friendly networking. See, it does work!